The Nigerian National Petroleum Corporation (NNPC) has dismissed insinuation of an approved N36 billion compensation said to be due to Alesa-Eleme community in Rivers state as royalty for playing host to the Port Harcourt Refining Company (PHRC). 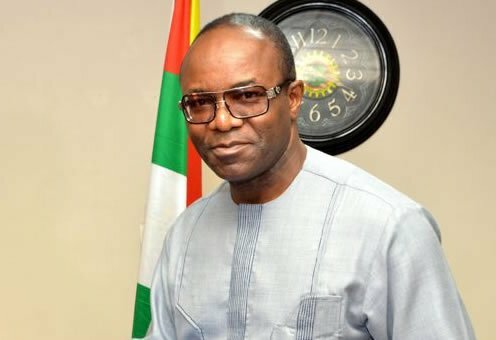 NNPC, in a statement by its spokesperson, Mr Ndu Ughamadu, traced the origin of the purported compensation story to a traditional ruler, regarded as a claimant to the Alesa-Eleme traditional stool. Ughamadu said the traditional ruler went to town with the fake story after a purported meeting with the Minister of State for Petroleum Resources and Board Chairman of the corporation, Dr. Emanuel Ibe Kachikwu. According to Ughamadu, NNPC affirmed that checks with the minister indicated that no such meeting at which any such approval or promises were made took place. The spokesman said the story was designed to cause disharmony between the NNPC and the hospitable Alesa-Eleme community. He emphasised that the Port Harcourt Refinery had over the years enjoyed cordial relations with all the 10 communities in Eleme where it is located. He listed some of the communities to include Alesa Eleme and Alade Eleme, as having cordial relationship through the Joint Community Relations Committee (JCRC). “The JCRC, comprising representatives from the various interest groups of the community, had been relating with the management of PHRC on a sustained basis for creation and execution of development projects and needs of the communities. “While thanking the peace-loving people of Eleme for their love and hospitality through the decades, the corporation implored the community dwellers, especially the youths, to discountenance any such rumour of impending N36bn compensation as there was no such approval or payment to any entity,” Ughamadu said.